After conquering the continent, the Leeuwinnen are ready to go one better. 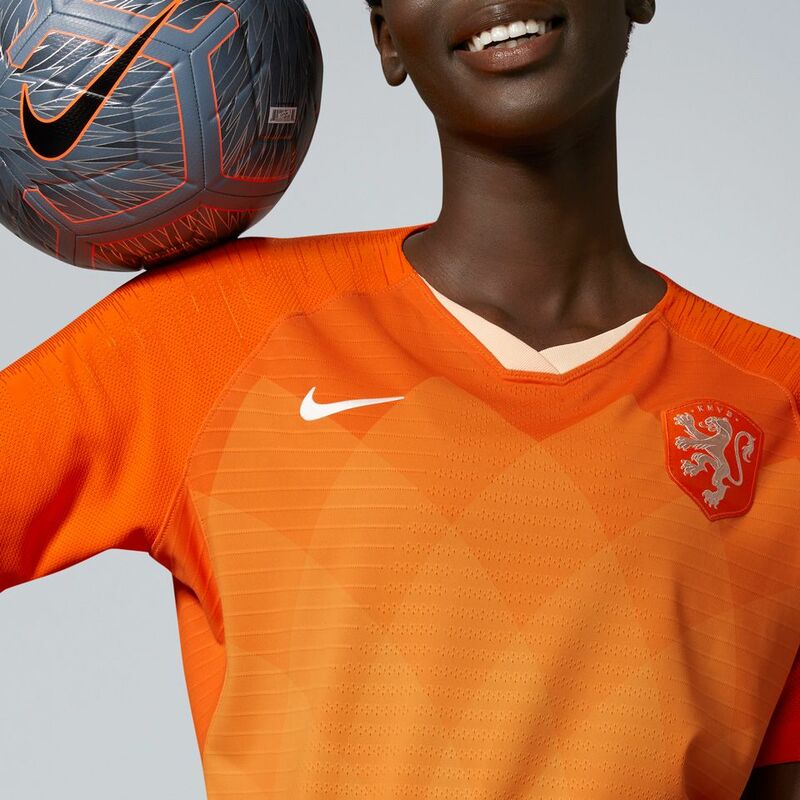 Show your pride with the new 2019 Dutch Women's National Team Collection. 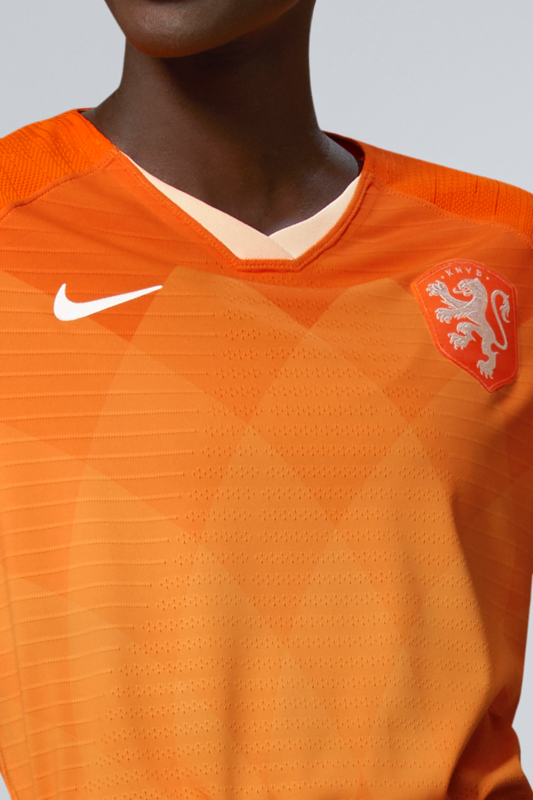 Their new home shirt is full-on orange and features a geometric graphic of a tulip on the front. 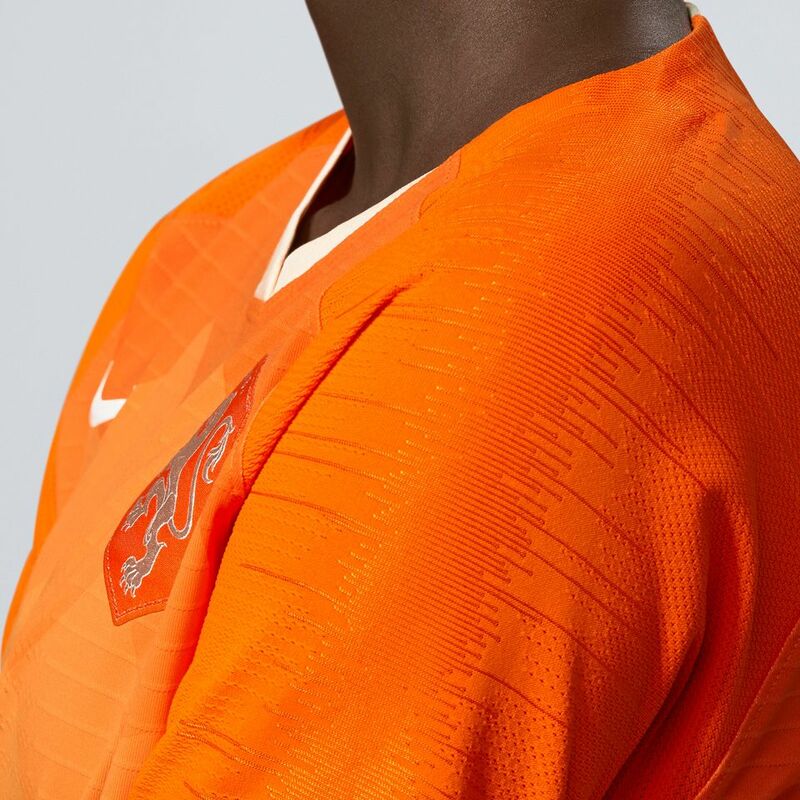 The shirt takes inspiration from past KNVB favourites, but is presented with a contemporary female-focused twist. 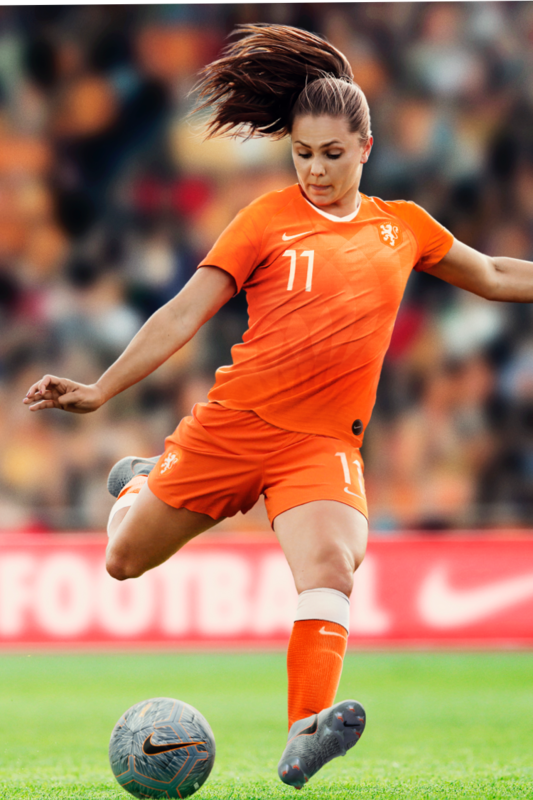 "We really like the new kit", said forward Lieke Martens. "It's modern and stylish in its shape, but has a retro feel to it. 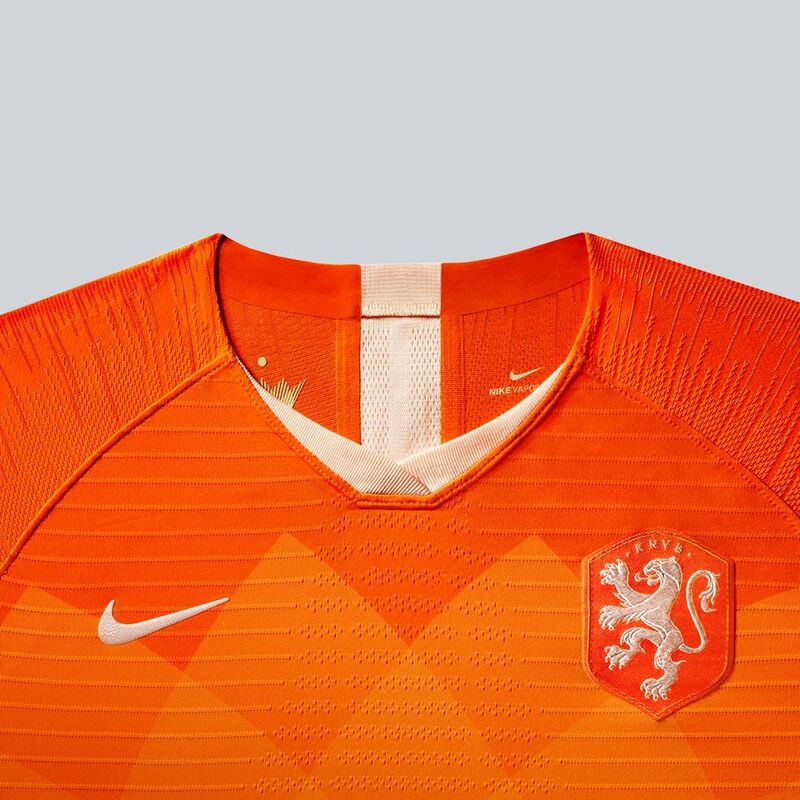 I think the supporters will like it as well". 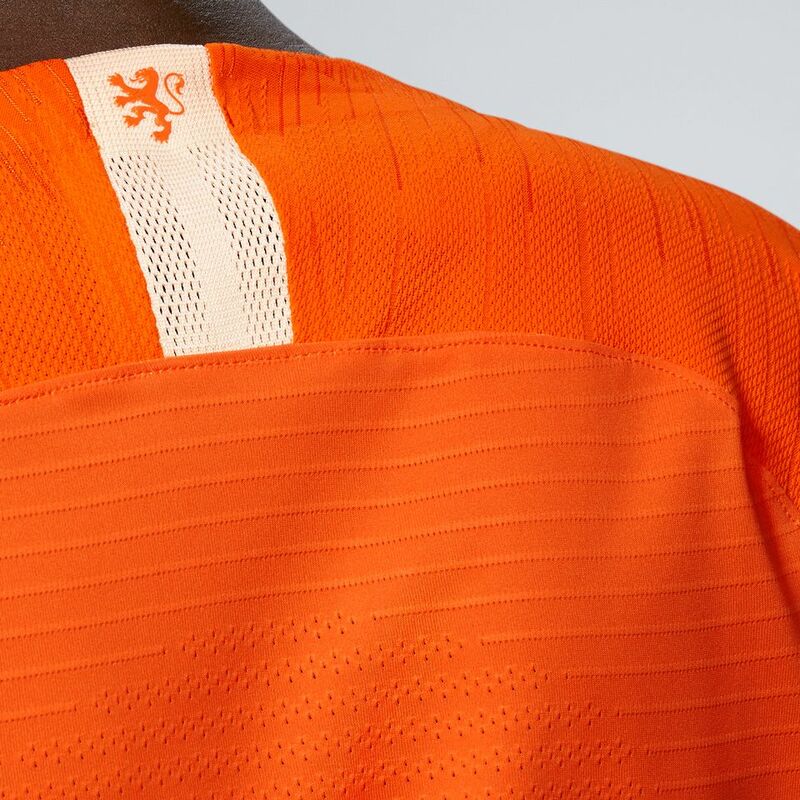 The new shirt also features the KNVB's exclusive women's team crest, which was introduced at the start of the Leeuwinnen's successful summer of 2017. The Leeuwinnen had never qualified for the final stages of a world tournament before 2015—two years later, they were crowned queens of Europe at only their third attempt. This should tell you all you need to know about the skill and belief that runs through this young squad. This summer, they travel to France as one of the favourites for the title.